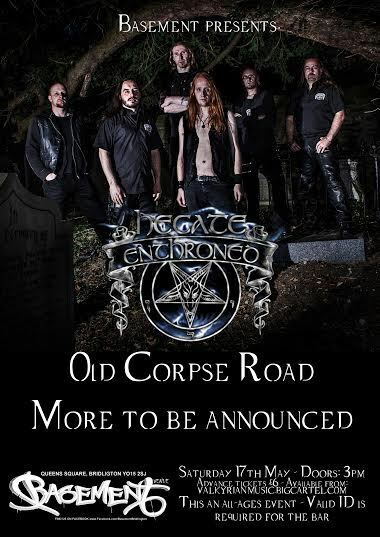 Thrash metal tyrants Wretched Soul have replaced Finnish progressive maestros Constantine at the Bridgaard Metal Fest. 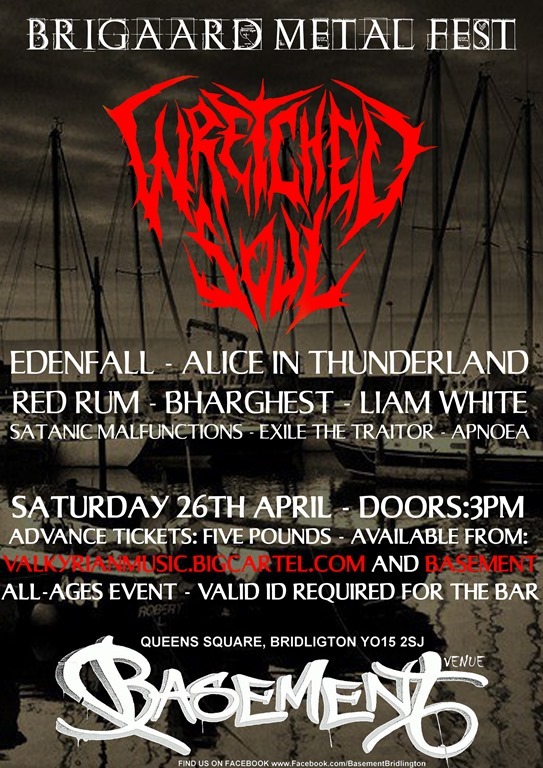 Wretched Soul will be joined by the likes of pirate metallers Red Rum (as seen at Warhorns Festival 2013), Scottish death metallers Exile The Traitor and Gothic doom coven Edenfall, as well as Alice In Thunderland, Bharghest, Satanic Malfunctions, Apnoea and acoustic metal solo act Liam White. Tickets for this all-day event are priced at the low price of a fiver and are available online from this location and will be taking place at Basement (Formerly Shades Nightclub) in Bridlington. The event is all-ages but valid ID will be required for the bar. 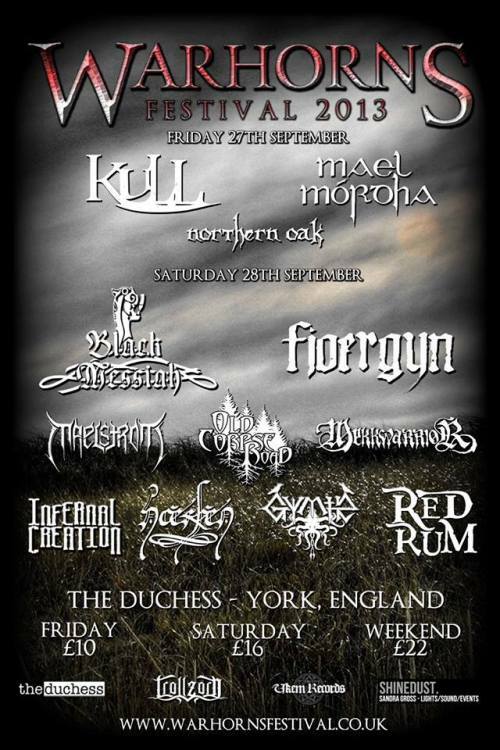 This will also be Wretched Soul’s only northern show before they support black metal legends Hecate Enthroned in July as well as Bharghest’s final show before Valkyrian Festival in November.